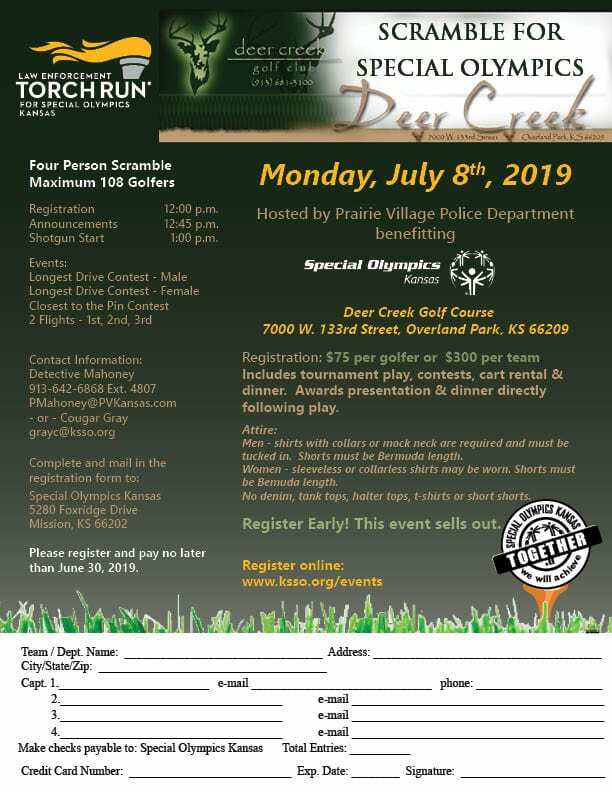 The Prairie Village Police Department is hosting a four person golf scramble benefiting Special Olympics Kansas. Registration includes tournament play, contests, cart rental and dinner. Awards presentation and dinner directly following play.